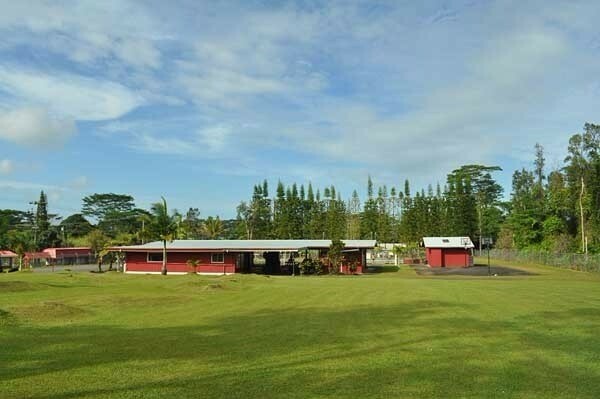 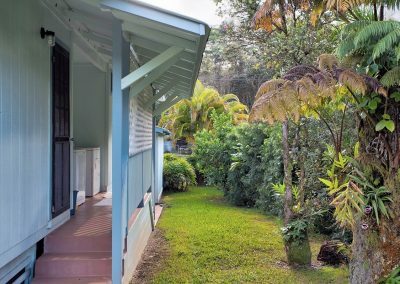 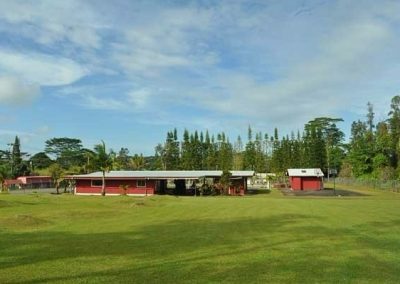 GREAT PRICE on this cozy Hawaiian home located in the community of Nanawale Estates, on the East side of the Big Island, Hawaii. 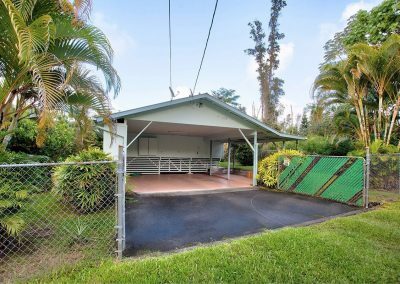 This home is on an easy to maintain 8,040 sqft fenced in lot with a nice grass yard surrounded by tropical plantings and mature trees. 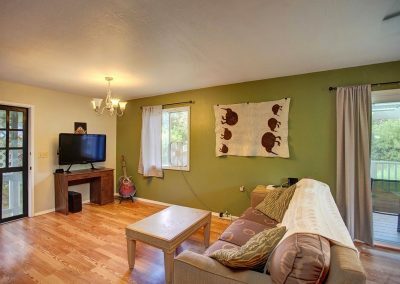 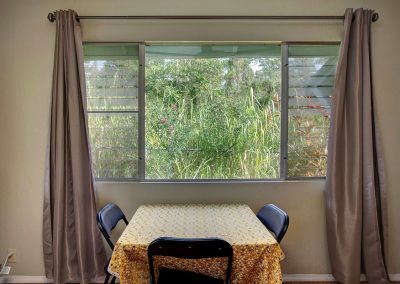 The home has a comfortably sized living room with large picture windows which let in light and the wonderful trade wind breezes. 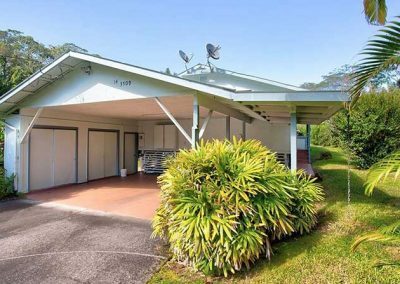 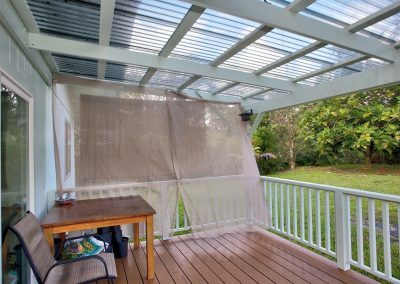 There is a new, nice and private covered lanai located just off the living area and attached to the back side of the home. 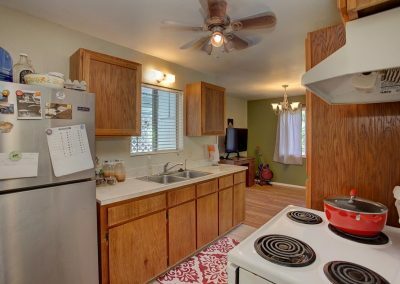 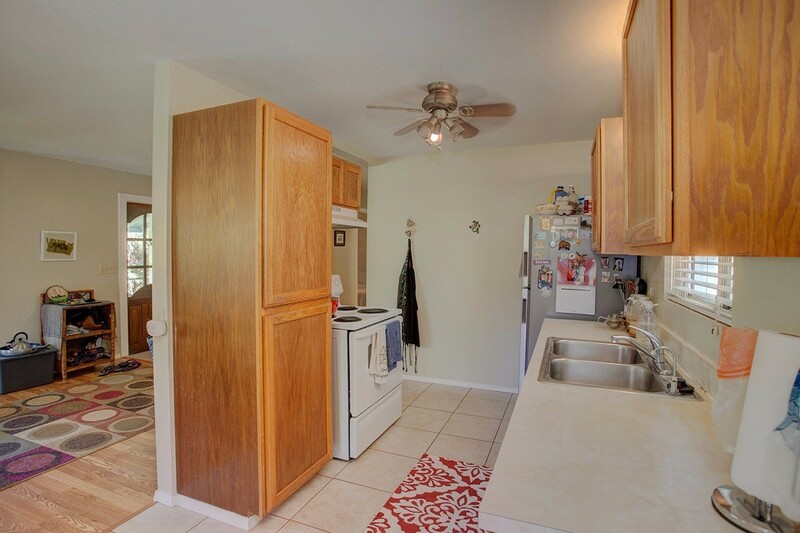 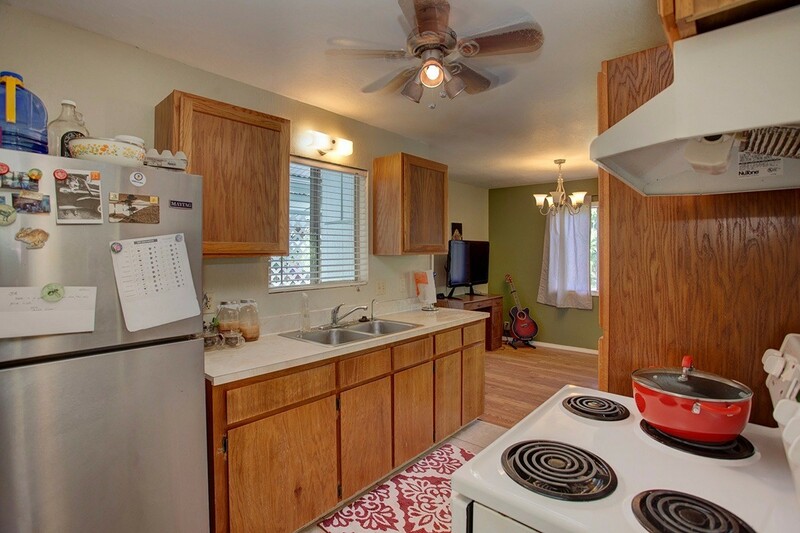 The kitchen has Oakwood cabinets, plenty of storage and a back door leading out to the laundry facilities. 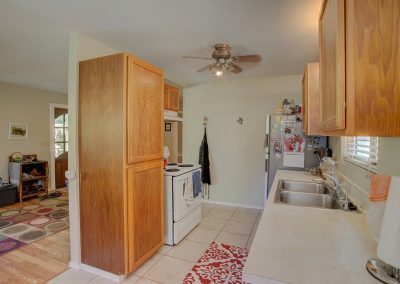 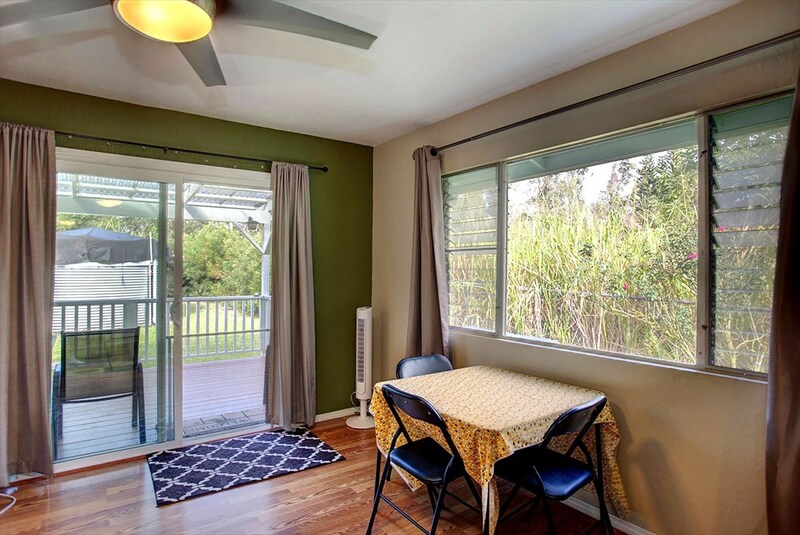 The dining area is located off the kitchen and living areas and close to the back lanai. 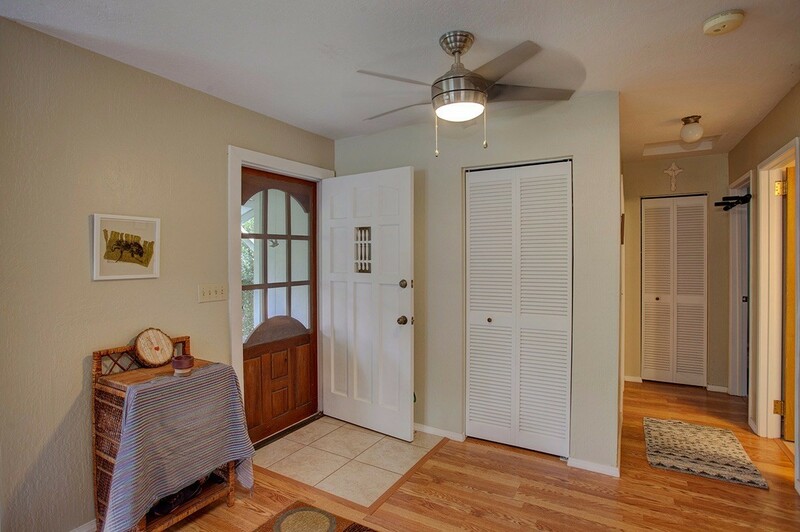 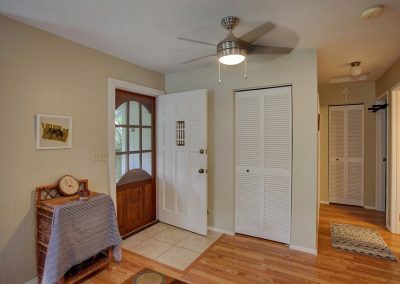 Rounding out the home are the two bedrooms and full sized bathroom down the hall. 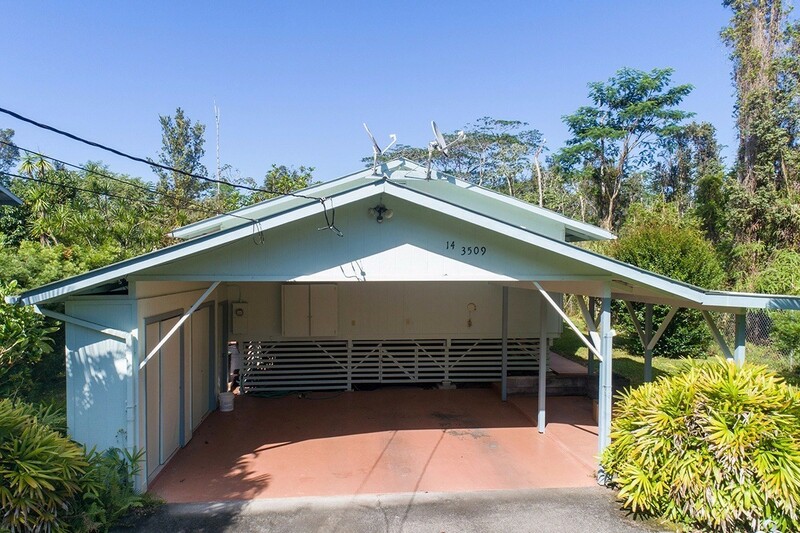 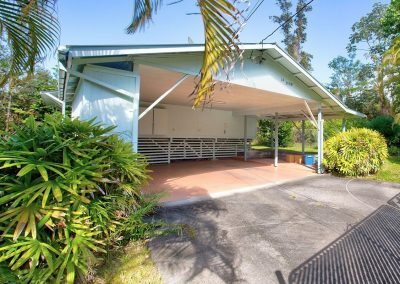 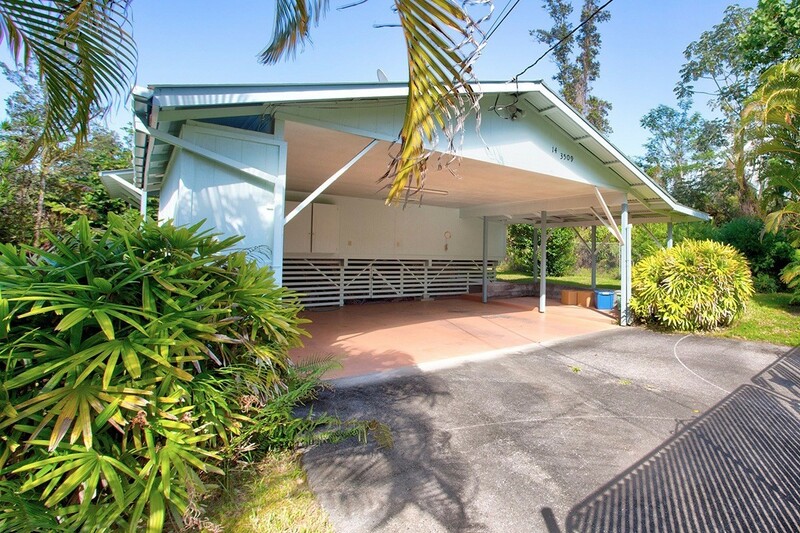 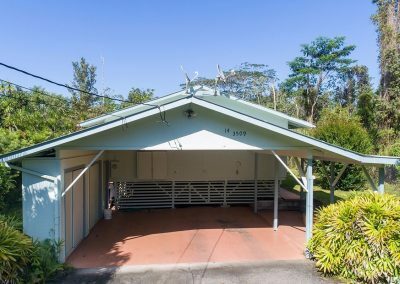 There is a cement driveway leading to the two car carport which has extra storage areas. 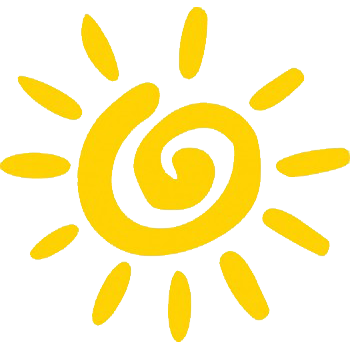 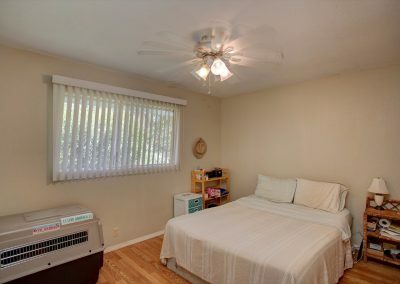 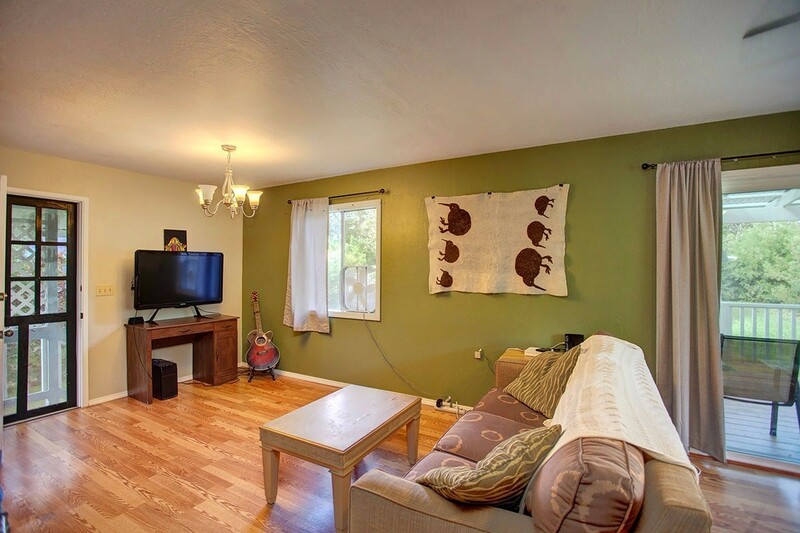 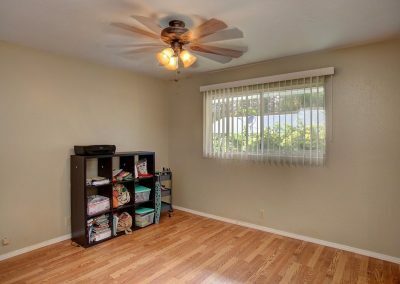 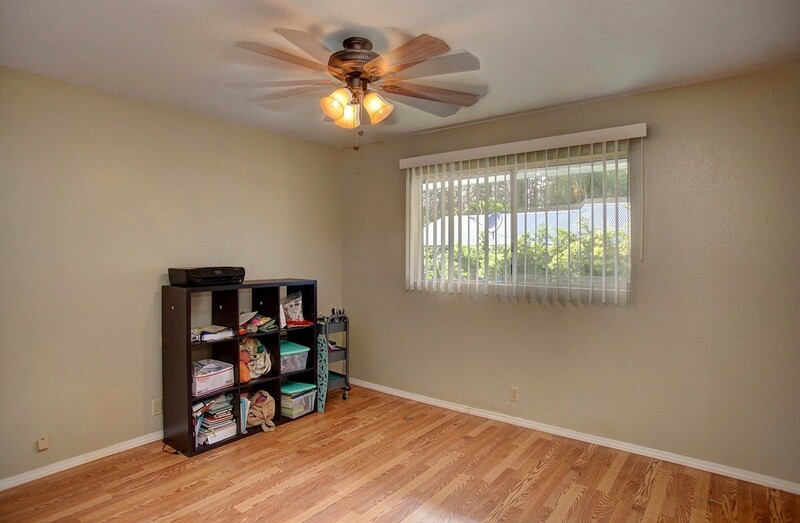 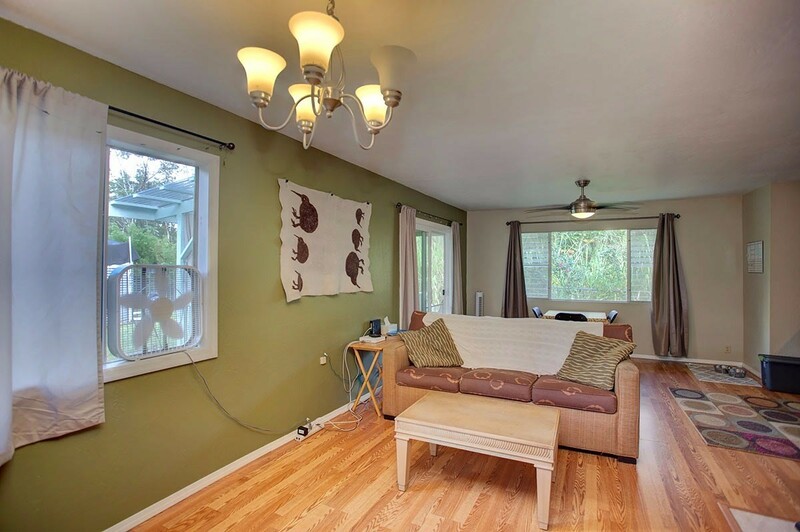 The yard is well maintained and 100% fenced – great for a dog or kids! 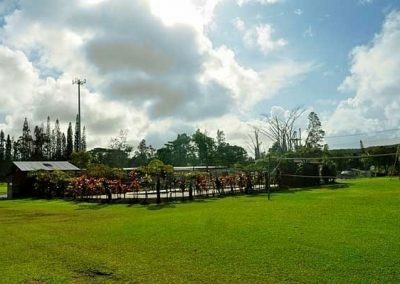 The beautiful Nanawale Estates Park, with its community pool, large grass area and weekly farmer’s market is a short few minute walk down the road. 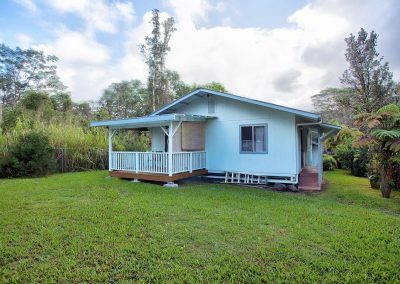 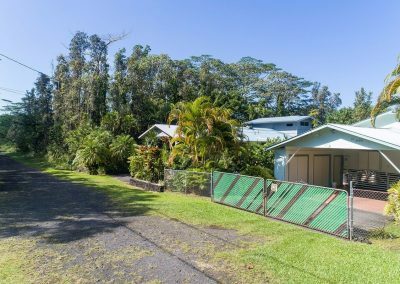 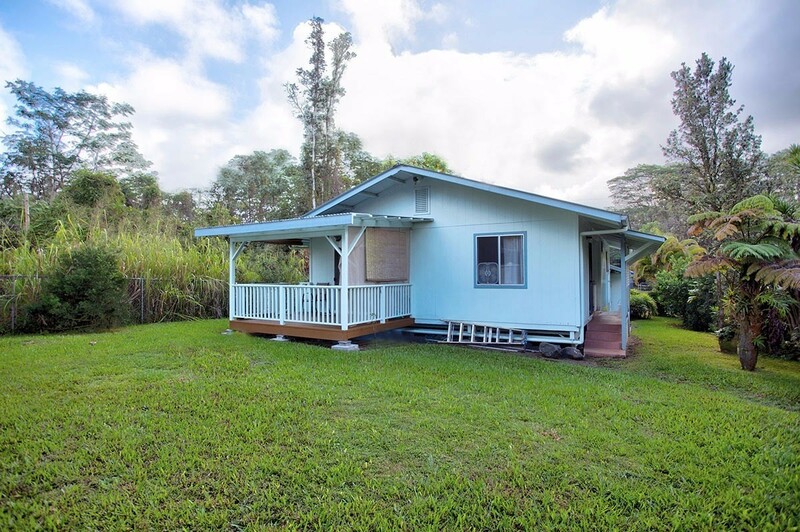 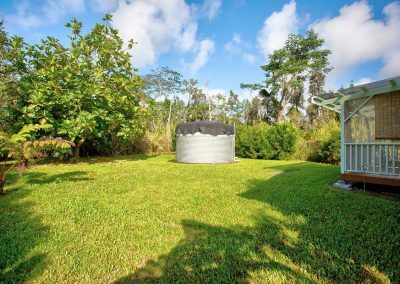 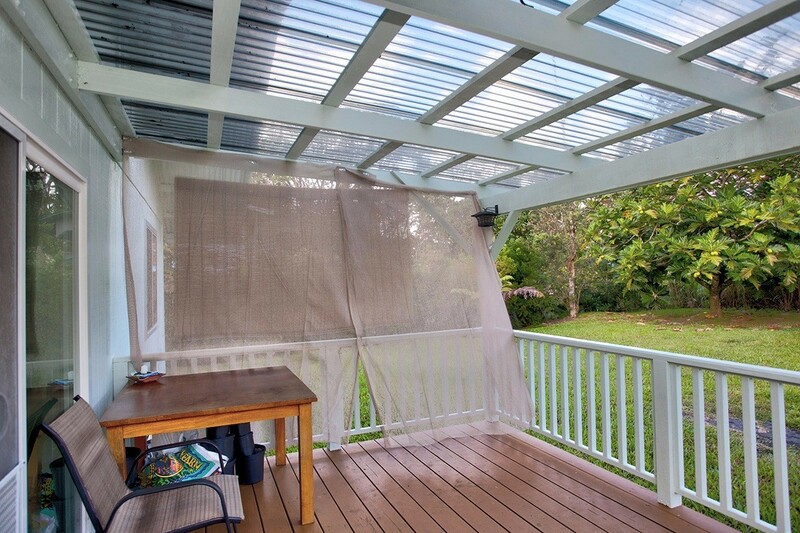 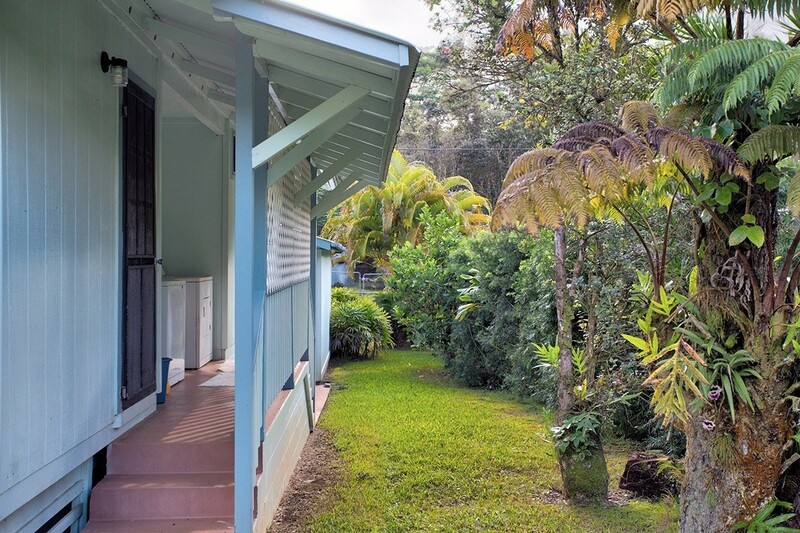 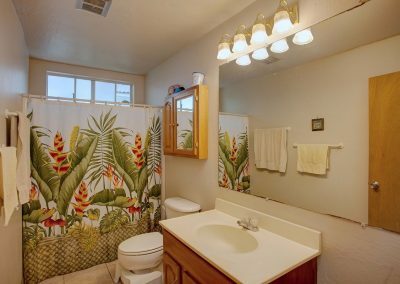 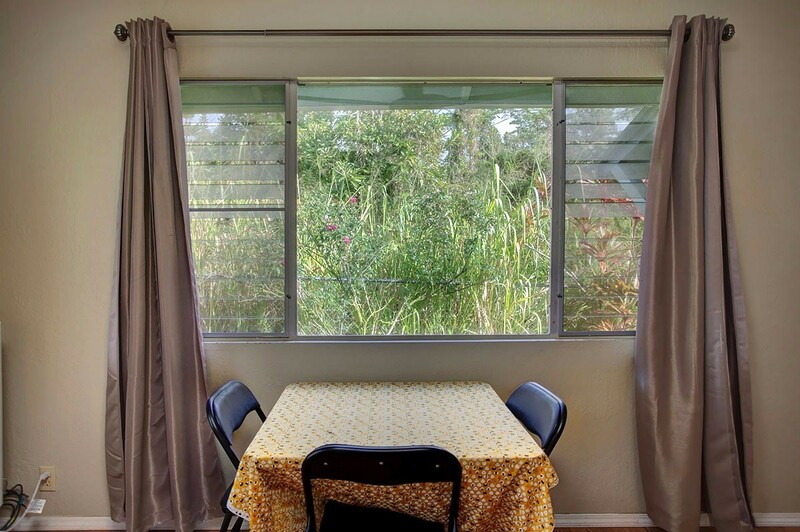 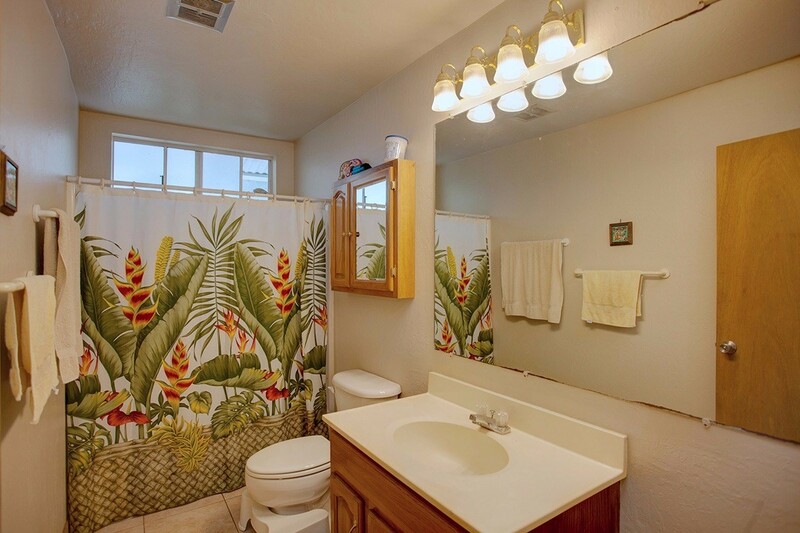 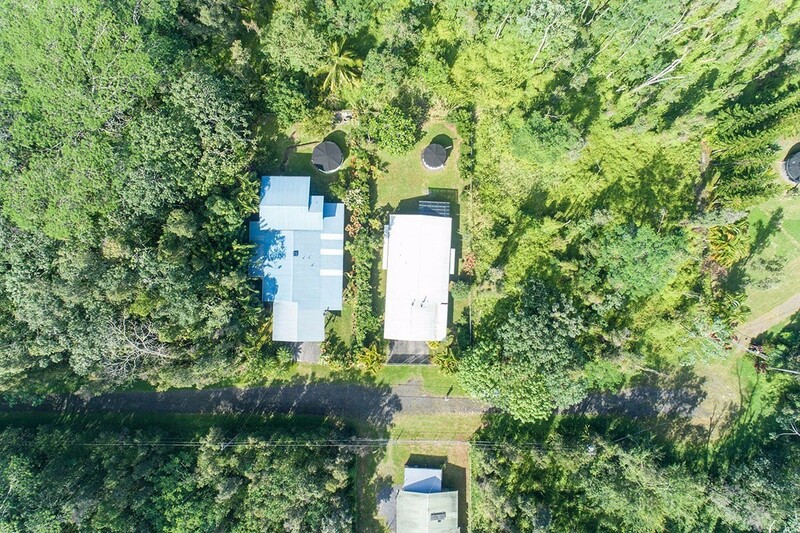 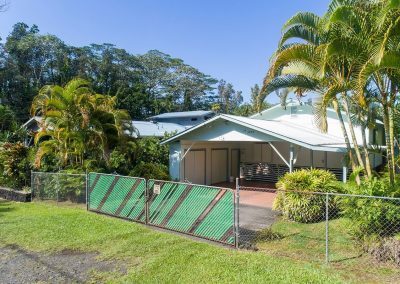 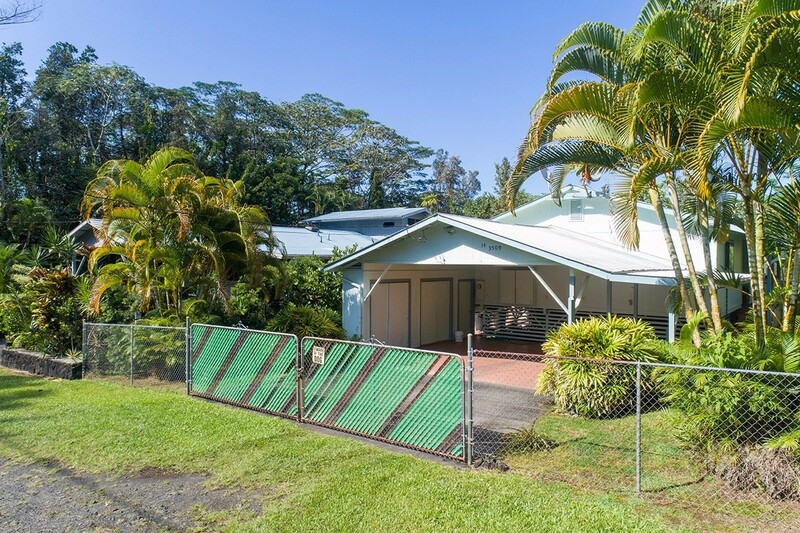 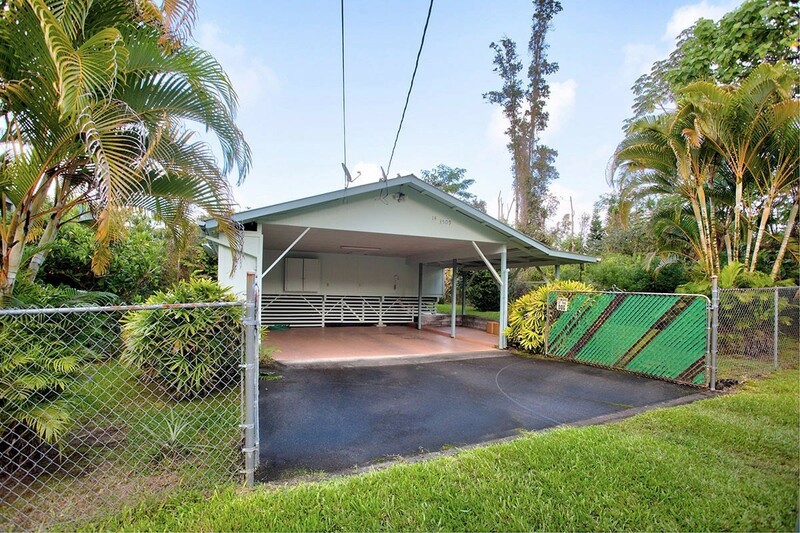 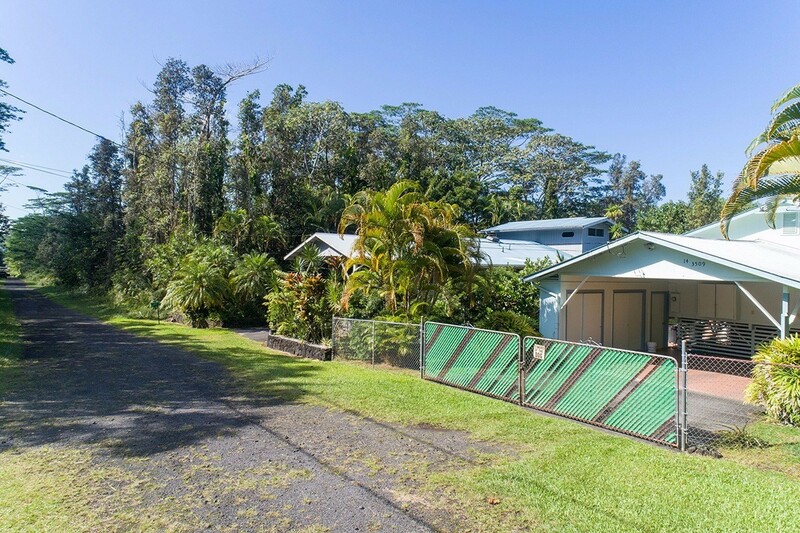 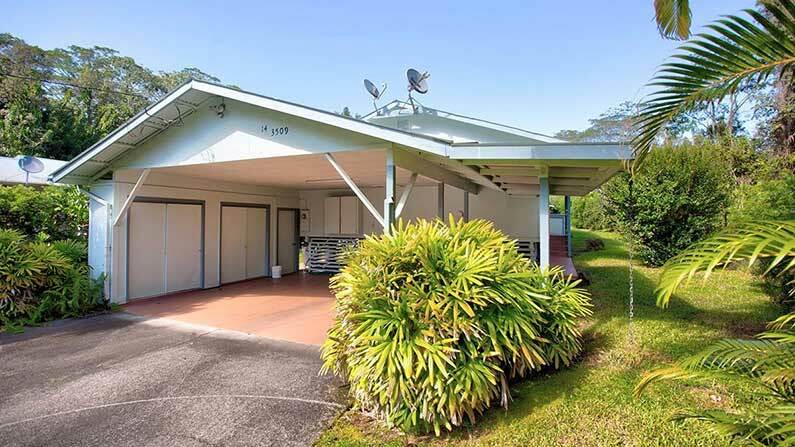 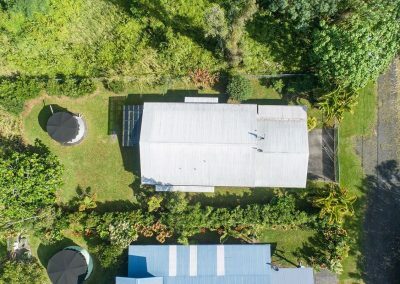 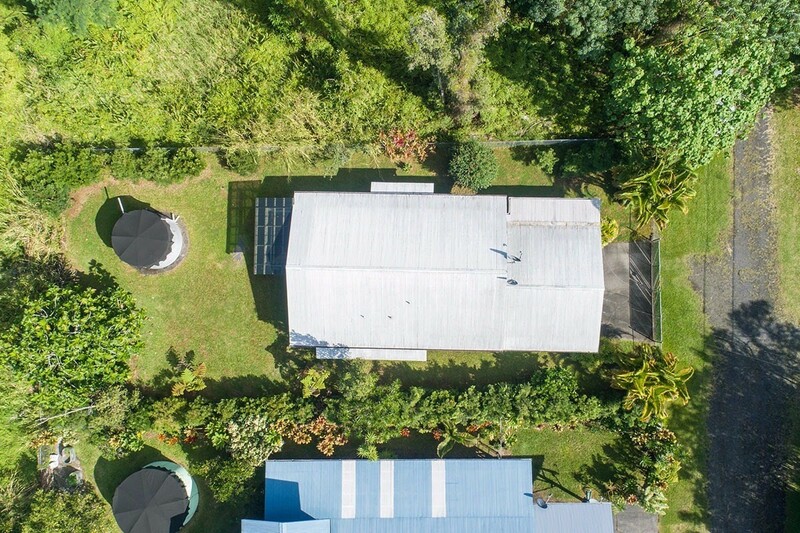 This property has an excellent location, it is only a short 10 minute drive to Pahoa Town and all its conveniences or a 10 minute drive to the ocean where you can enjoy swimming, surfing, boating, fishing and fabulous natural hot ponds at Pohoiki and Kapoho. 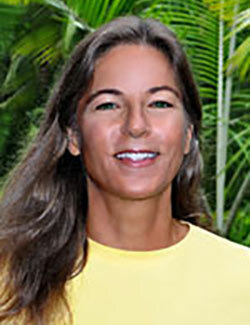 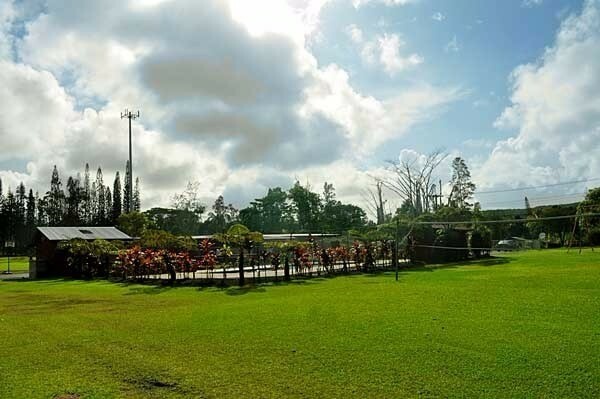 Enjoy the wonderful East Hawaii weather and the beauty of this property and your great neighbors. 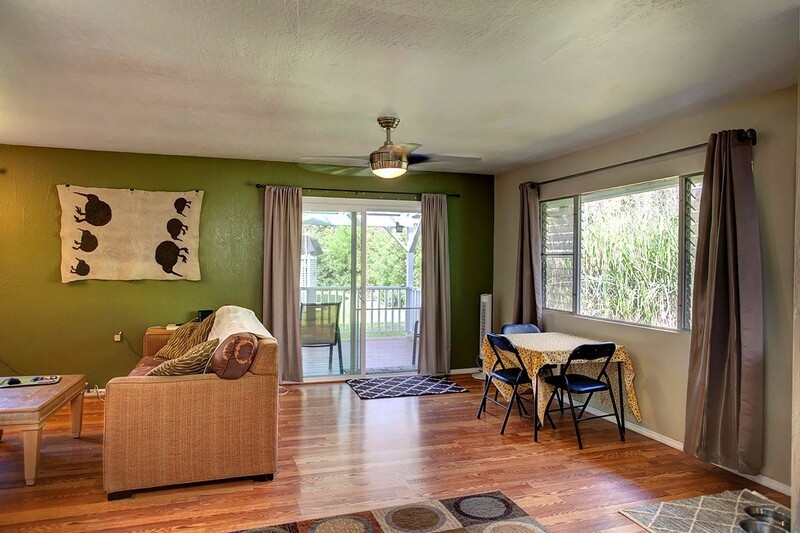 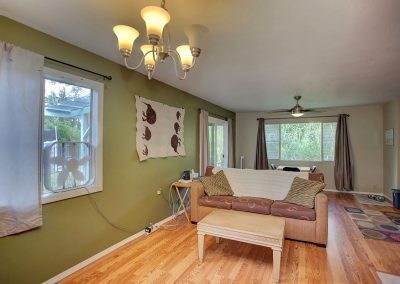 Seller has always maintained the home and it shows! 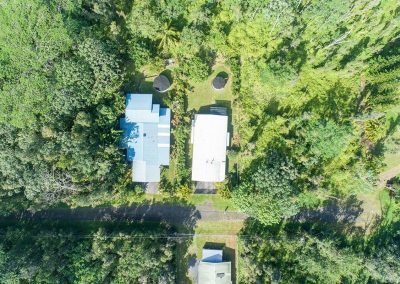 This is a home you won’t want to miss at this price!